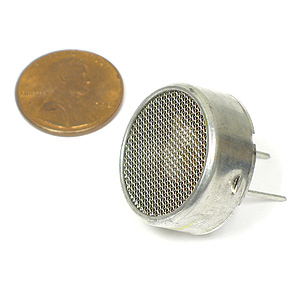 24KHz Ultrasonic Transducers - High output ultrasonic transducer. Brand new metal case/units. Size: 7/8" diameter x 3/8" thick. Manufacturer part # 0D24K2. Has metal posts for connection. Sold in a Package of 10.